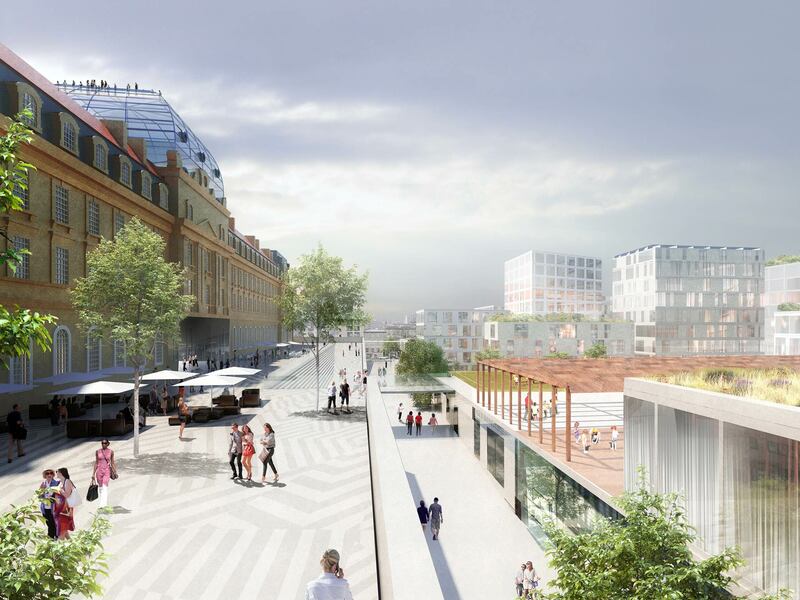 The city of Marseille is planning to convert former barracks, Belle de Mai (7 ha) and redevelop the area around Saint-Charles station (140 ha). It is key that the district around the former barracks and train station are well-integrated into the metropolis. At this time, the team is establishing specifications, criteria and targets for future planning phases. Energy, comfort, water and digitalization are the main topic areas. Transitioning from fossil fuels and nuclear energy to renewable energy is a national issue and must be anchored and implemented at the regional as well as the urban level. As the capital of the Provence-Alpes-Côte d'Azur (PACA) region, the city of Marseille strives to become a symbol of this energy transition. 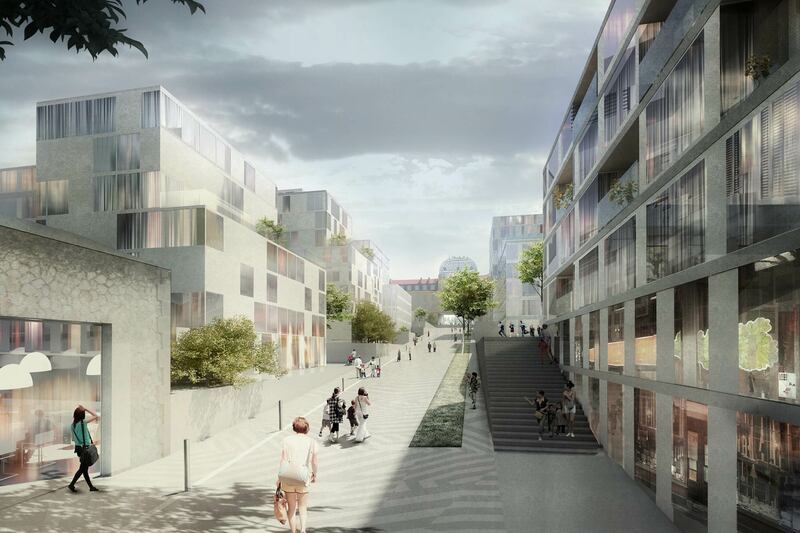 Our plan is to place this rehabilitation of the Quartiers libres at the center of that process, therefore giving momentum to the entire city of Marseille. The district is being developed in accordance with the requirements of the NegaWatt energy scenario of the PACA region, i.e. being effectively 100% renewable. Of course, comfort plays a role in this master plan. To improve the comfort in the interior, spatial arrangement is iteratively optimized. Furthermore, proposed architectural and landscape measures must counteract the heat island effect. Beyond energy and comfort goals, we are taking a close look at water. In the Mediterranean region, water scarcity and the risk of drought are important issues. Our urban water management strategy must therefore make the best use of water-saving approaches, creating cycles and encouraging reuse, on the widest possible scale, i.e. 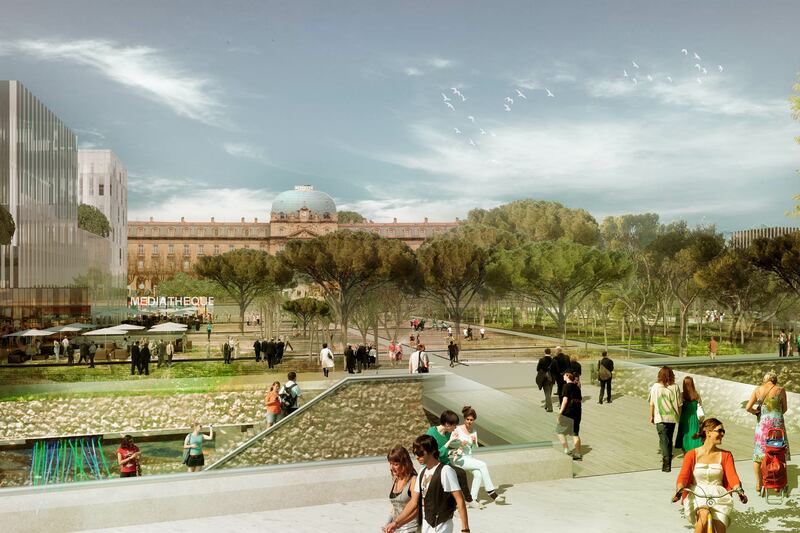 city-wide, possibly in conjunction with Marseille's urban renewal project Euroméditerranée. We are also advocating the targeted use of digital technologies: the digital city as a smart, intelligent, promising city that uses all possibilities. We believe that digitalization is key to launching a sustainable future in the Quartiers libres.